Greenville University was founded in 1892 by the Free Methodist Church with the intent to provide a distinctive, Christ-centered college education for men and women. The college's first president, Wilson T. Hogue, used the motto "education for the character" to describe the college's purpose. Its mission 120 years later - empowering students for lives of character and service - echoes that purpose. A Christ-Centered Education Greenville University’s roots lie in the Christian college movement of nineteenth-century America that was concerned to provide an education centered on the implications of the life, death, and resurrection of Christ. This means that the backdrop of God’s work in Christ – through acts of creation, redemption, and restoration – frames the educational process both in and out of the classroom. It also suggests that education is never for its sake but is seen as part of the larger bending of the created order back to God and to God’s purposes in and through Jesus Christ. An Open-Minded and Welcoming Community Greenville University recognizes and welcomes each person as a key part of the larger group – a group that loves, respects and supports its members. While the community advocates certain standards for its members, it also values each individual’s identity and strives for openness regarding each one’s background and experiences. 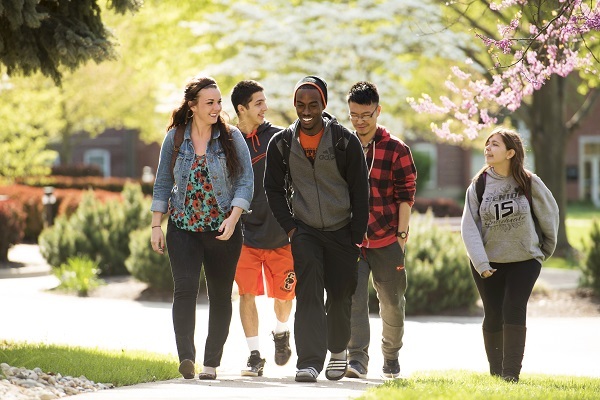 In cultivating an environment that welcomes diversity of opinion and tradition, Greenville University promotes open-mindedness and authentic actions of hospitality among its students, faculty, and staff. Holistic Teaching Greenville University aims to facilitate the transformation of students through teaching. By following the scriptural admonition to love the Lord with all our heart, mind, soul and strength, faculty takes this mandate into the classroom as they teach from the heart to instill a Christ-like character in their students. They strive to impart authoritative and contemporary knowledge in the discipline of the mind as well as inspire passion in their students for a chosen vocation. Global Awareness Greenville University challenges students and faculty to demonstrate awareness, sensitivity, and responsiveness to differences across cultures, social practices, and religions. This also means we keenly recognize the interconnectedness of God’s people. In addition, Greenville University stresses to its community the need for reaching out to other cultures and nations in order to address the world’s problems. Creative and Critical Thinkers Building on the foundation of the liberal arts, Greenville University models and fosters a creative and critical approach to ideas and challenges. Through an academically rigorous curriculum, the faculty encourages original and imaginative thinking while valuing disciplined and reasoned analysis. Character and Service Greenville University challenges students to know themselves recognize their identity through self-discovery, and the development of the special talents they have been given by God. We strive to instill students with skills of introspection that allow them to constantly evaluate their character and develop a deep awareness of how they can look outside of themselves and meet the needs of others. Students best realize their potential through the lifelong practice of serving others. One of the most memorable aspects of your college experience will be living on our beautiful 50-acre campus. Greenville's campus is located in the heart of Greenville, Illinois, a beautiful town of 7,000 people located 45 miles/ 72 Kilometers outside of St. Louis and is easily accessible from I-70, I-55, I-64, and I-57. Our unique location gives invaluable opportunities for outreach, fun, hands-on learning, and civic engagement. Our Residence Life program is built on shared faith in Christ, respect, trust, friendship, and teamwork. Each comfortable residence hall is staffed by a Residence Hall Team, which includes a Coordinator of Residence Education (CRE) and Student Resident Chaplains (RCs). You'll be surrounded by wise, compassionate people who are here to provide direction, guidance, and support. A variety of social and educational programs are scheduled within each hall, from floor parties and "Roomies Night Out" to brother-sister floor activities and Bible studies. You can participate in our mentoring program, be enriched by our faith-based programs, and examine your long-term goals in our career placement program. Greenville University provides a quality liberal arts education for over 1,600 students. We offer over 50 undergraduate majors as well as adult and graduate programs available online or at partnership locations. Our distinguished academic programs, caring faculty, and genuine Christian community are transforming the lives of students from around the globe. We offer more than 50 student organizations, including service and social clubs, musical groups, student government, missions clubs, performance groups, and student publications. Greenville even has its own student-run radio station, WGRN 89.5 FM. According to the U.S. Department of Labor statistics, engineering is projected to be one of the top five areas of employment for the next decade. 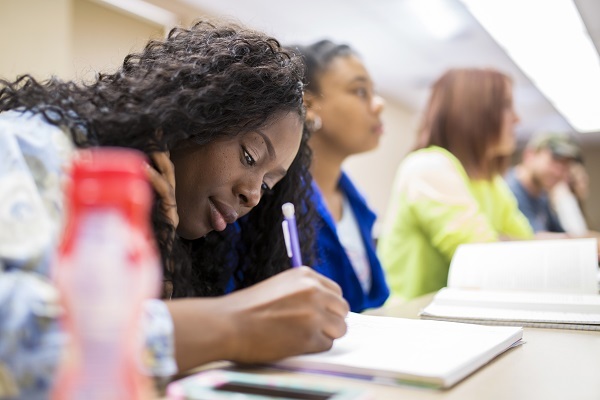 If you have been prepared by your high school education in writing, communications, mathematics and science, you should be ready to move into the college level courses. You will have to study a lot, but anything worth doing requires some effort. The payback occurs in career satisfaction. The engineering profession ranks in the upper 15% among the 250 types of work endeavors. The Music Business major is a cross-disciplinary curriculum between music and business that focuses on preparing students to work as executives, managers, and administrators in all areas of the music industry. The program provides students concentrated study and professional expertise in artist and venue management, production, publishing, distribution, retailing, booking and touring.